Then transferred via a secure connection with 256 bit SSL encryption from Verisign in a secure environment . 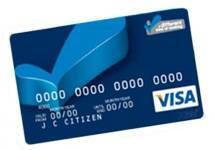 Credit card information is required in this step in the secure transaction enviroment of Braintree. The credit card is charged the amount corresponding to your order. This process is completely safe and at no stage in the above process the credit card information is kept in any record or any third party records other than Braintree database which handles our online transactions. The charge of credit card customers is an one time only charge.Credit card payments proceed through Braintree. Braintree , a subsidiary of PayPal, is an online payments solution totally acknowledged and accepted from the most successful online companies . Click here to verify our Credit card security via Braintree.